The Chargers open the season Sunday against the Lions minus a familiar face. 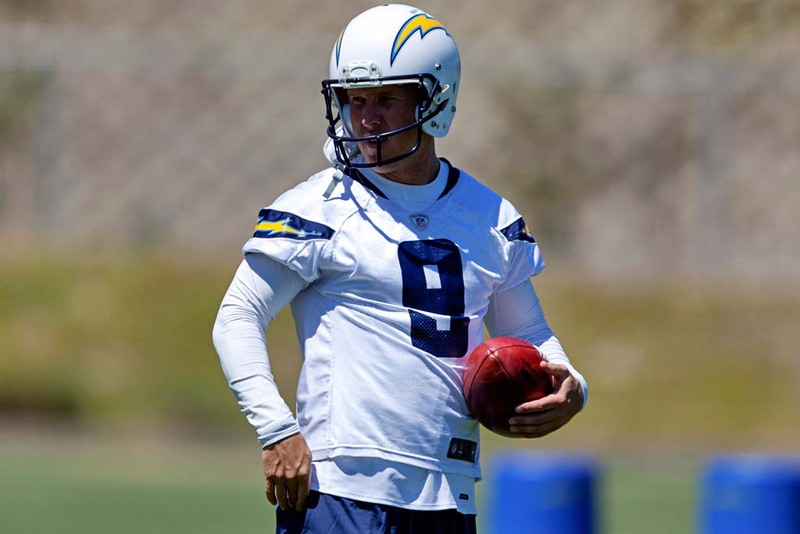 Kicker Nick Novak got the boot and we wish the Bolts good luck with that. Summer loves are just that, as fall brings with it a heaping dose of reality. That’s especially true in the NFL, where players try to turn hot summer nights into a season’s worth of paychecks. Congrats to new kicker Josh Lambo but isn’t this a huge leap of faith by the Chargers? We get that Lambo’s leg is stronger than a full-powered IPA. And his aim was true in the preseason, with his 47-yard, game-winner in Arizona being no mirage. But Novak was steady, reliable and consistent. He’s the second-most accurate field-goal kicker in franchise history, converting 86.3 percent of his efforts. That’s just a hair below Nate Kaeding’s 87 percent. Novak nailed 101 of 117 efforts during his two years in San Diego. Last year he was 22 of 26, working with a replacement holder the final three games. The previous season he missed just three times on 37 attempts, setting a single-season mark of 91.9 percent. Those 34 field goals in 2013 tied John Carney’s team standard. And don’t forget No. 34 against the Chiefs in overtime that plopped the Chargers into the playoffs for the first time since 2009. With that in-house, do the Chargers really want to test-drive a kicker in a year with so much on the line? What if Los Angeles is a house of cards and they’re forced to crawl back to San Diego, asking forgiveness for their behavior this offseason? Those fans would be much more accepting if a successful season was among the Chargers’ more preferred baggage. Coach Mike McCoy? If the Chargers do scoot to Los Angeles, “Malibu” Mike is going to be a tough sell if he has another mediocre year. We know he’s into third-place finishes but do it for the third straight time and the charm is off this offensive guru. This is the year the Chargers need to be sure they got their ducks in a row. After missing the playoffs in four of the past five years, this isn’t the time to break the seal on a kicker. We get that the Chargers want to claim those hidden yards in special teams. And with Lambo pinning returns deep in the end zone, it’s fair to say a touch back is divine. Or haven’t you seen some of the tackling on special teams so far? And with the additional of returner Jacoby Jones, they’re eager to give Philip Rivers better field position, as well as an $84 million extension. But we’ll stick with this: the Chargers are going out on a limb with an unproven player at one of the most critical positions. We don’t doubt Lambo has a shot of being keen. But considering what the Chargers have, why tempt fate to find if Lambo can maybe be just as good? Hopefully he was renting his residence because chances are he’s on the move. Kickers of Novak’s ilk are hard to come by. He’ll land somewhere soon, with a resume that is more solid than shaky. But the Chargers feel their kicking game with Lambo is on the solid ground. The kicker is, if they’re wrong, the ramifications could be significant.